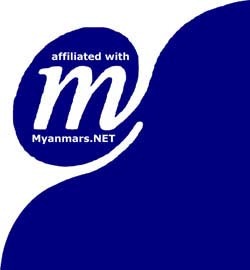 Our earliest product was called 'Pioneer Myanmar Font' which we exhibited on 13 Mar 1992, as "the first multi-purpose Burmese software for MS-Windows". It was known as the first multi-purpose Burmese software, and became a milestone in the country's computer history. The name of the creators were Zaw Htut and Thet Ko Ko. As we tested, it was well compatibile with various versions of Windows between version 1.04 to 3.11. 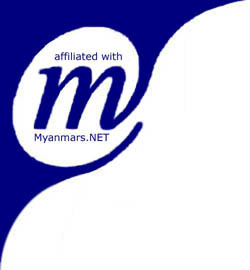 Pioneer Myanmar Font: The very first Myanmar (Burmese) font for MS-Windows. Released on 13 March 1992. Pioneer Myanmar Font was only a scalable stroke-font, so that when enlarged it didn't look ragged like bitmap fonts, but it looked very thin. Windows' fonts at that time were not as good as those of today, because Microsoft has not obtained the TrueType outlined font technology from Apple yet. Keyboard layout of Pioneer Burmese Font was as same as that of the conventional Burmese Typewriters. Its typing method has been used for a long time ever since Burmese type-writers were invented in the early 1900s. Thus, this typing method is the most common and well-established in everyday-life of the Burmese office work. Researcher Myanmar Font: The brother of Pioneer Myanmar Font. Compatible with MS-Windows 1.04 to 3.11. Software of 2.1 million Kyat value were donated to hundreds of non-profit organizations, such as governmental, religious, and educational organizations on 19 April 1994 at Karaweik Hotel. Copyright © 1992-2000 by Win Myanmar Systems Inc.